The project involved the remodel and interior design project for a ‘70s single family house in Madrid mountains. The main focus of the project was perfecting every inch of the house that had been neglected or changed since it was built and reinforcing the original architecture through the use of light colors and open spaces. master bathroom remodel FEATURING wall mounted faucets and VINYLIC wallpaper on the walls. 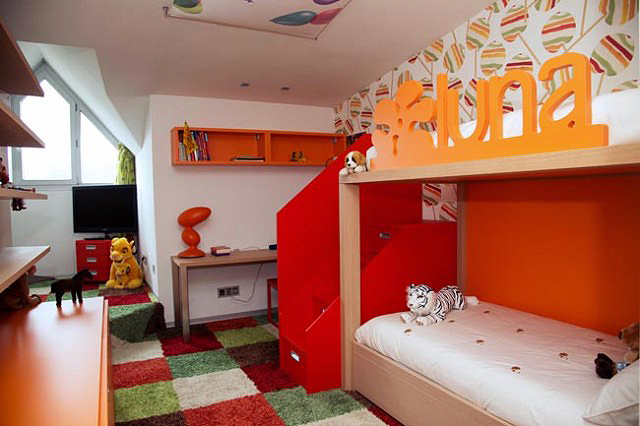 kid's bedroom FEATURING lacquered bed and cabinets and wool carpet. Improving the original house layout, demolishing small rooms, and creating a big common area. Adding bold materials to the architecture, like a steel and glass staircase and new glass doors. Installing large format glossy tiles in the common areas floors. New lighting and bathroom fixtures. Creating a spacious suite master bedroom. 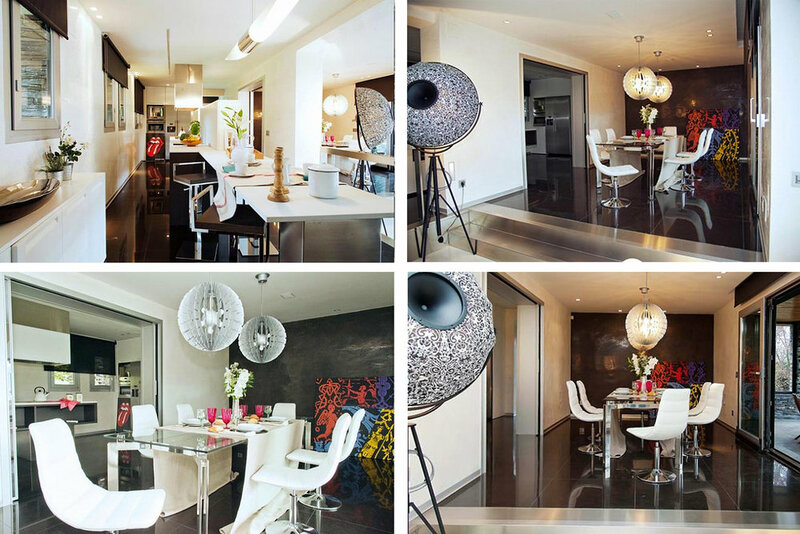 The use of light colors to increase the natural light inside, the focus on very modern design pieces, and the careful elements selection, is what makes the project so special for owners and guests.